On Wednesday, a 12-member New York jury returned a verdict against Michael Steinberg, a senior portfolio manager with hedge fund SAC Capital Advisors LP, finding him guilty of trading using inside information that allegedly passed through four people before it reached him. 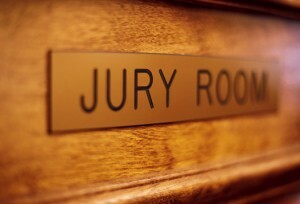 An article in today’s Wall Street Journal about the deliberations of the jury forewoman, Demethress Gordon, provides a glimpse into how jurors bring their own experiences to the deliberation process, sometimes filling gaps left open by the trial attorneys. Following the first day of deliberations, however, Ms. Gordon attended a screenwriting class “that happened to focus on the subtext of characters’ actions.” This made her receptive to an analogy offered, during the second day of deliberations, by another juror “who told her to imagine walking through the door. ‘He told me to go through the door,’ she said. ‘I understood what he meant, without him having to say, ‘Walk to the door. Turn the knob. Step through it. '” It “suddenly clicked. People can understand more than they are told . . . Mr. Steinberg must have known the information he received was based on nonpublic information . . . even if it wasn’t explicitly made clear.” After Ms. Gordon changed her mind and explained her reasoning to the sole remaining hold-out, who agreed, the jury returned a unanimous guilty verdict. This perfectly illustrates how jurors will sometimes draw from their own outside experiences or intuitions to fill a problematic chasm in the elements of a case (or a defense). While I don’t know more about the evidence either side presented, this suggests to me (1) that the prosecutor did not have or put forth sufficient evidence that Steinberg would have understood, explicitly or implicitly, that the analyst’s tip was inside information (though it is telling that 10 of 12 jurors were apparently ready to convict at the end of the first day of deliberations), and/or (2) Steinberg’s defense attorney did not sufficiently anticipate and exploit this gap in the evidence. Either way, it’s interesting to be a fly on the wall.